Phu Quoc and Danang are two famous tourist destinations in Vietnam featuring a wide range of types of tourism. So, which place is better for tourists to enjoy the dreaming vacation in 2019? Let’s check this post below. Entirely located in the Gulf of Thailand and covered by the sea, Phu Quoc has the typical features of tropical monsoon climate. The temperature of the island is always warm all year round which is ideal for developing tourism. There are two distinct seasons in Phu Quoc, that are dry season and rainy season. The rainy season comes to Phu Quoc from June and lasts to the end of September. During this time, the rains come to Phu Quoc very frequently with the rainfall around 450 mm/ month, and the humidity up to 90%. Yet, after the rains, the landscape of Phu Quoc is like change a new coat, the sky is clear and blue, the trees are lush while the temperature becomes cooler. Especially, at that time, it is very suitable for sea activities such as surfing, diving, canoeing, etc. The dry season starts from December to May, Phu Quoc suffers the wind from the northeast with the average speed of 3,2 m/s. The average humidity of Phu Quoc in the dry season is 78%, the temperature is around 35 Celsius degree, it is hot and dry. 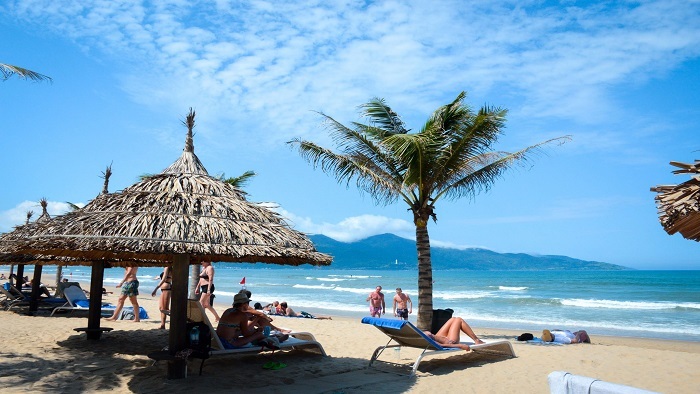 Danang is located totally in the tropical monsoon region with a high temperature all year round. The climate of Danang has the transition between the northern climate and southern climate, so there are some cold days at the end of the year. There are two seasons in Danang: dry season, and rainy season. The dry season is from January to July, and the rainy season is from August to December. The temperature of Danang is not too hot as in the northern part of Central Vietnam with the average temperature of 28-30 Celsius degree in June, July, and August. During the months December, January, February, the weather is cooler with the temperature is about 18-23 Celsius degree, it is very suitable for traveling. Especially in the high mountain region as Bana at an altitude of 1.500 m, the annual average temperature is about 20 Celsius degree, it is considered the new tourist heaven in Vietnam. So, according to the climate of Danang, the best time to travel in Danang is from February to August, although the weather is a bit hot at the last months, it is dry and sunny. Although Phu Quoc and Danang are famous tourist destinations in Vietnam and in general, the climate of two destinations are not too much different, Phu Quoc is more voted because this island is located in Thailand Gulf, it is very safe for traveling all year round. Meanwhile, the rainy in Danang is quite terrible with the heavy rains and dangerous tropical storms. So, the climate of Phu Quoc is appreciated to Danang’s. Just about ten years ago, Phu Quoc was still a pristine land with the primitive beaches and forests, now Phu Quoc has become a new tourist paradise of southern Vietnam with a range of luxury resorts and hotels. Among 274 projects for the field of tourism that are conducting in Kien Giang province, 210 projects are set up in Phu Quoc which exceed about 79%. Most of these projects are investing in the infrastructure of Phu Quoc including the plans of hotels, resort, shopping centers, amusement centers, casinos, etc. 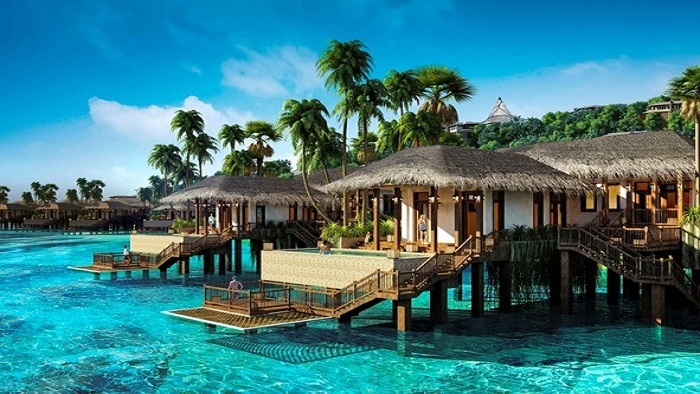 Whereas, many projects with the international scale are turning Phu Quoc into the most attractive tourist destination for both domestic and foreign tourists. 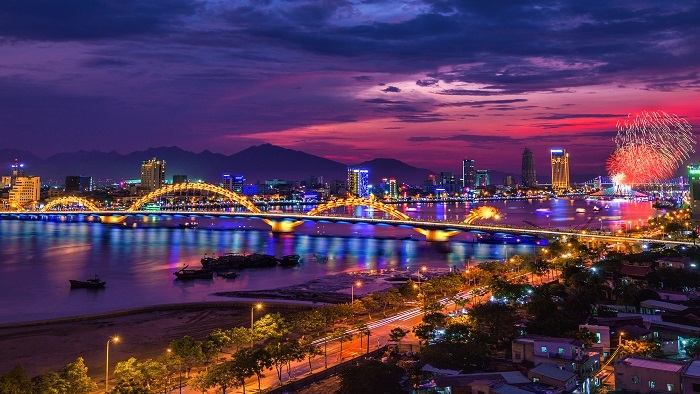 During these years, with the orientation of developing stable tourism, the city of Danang has a detailed plan with the policies, funds, and campaigns to extend, enhance and re-decorate the infrastructure of the city. However, according to the evaluation of experts, the scale of economy is still small; actually, the scale of tourism has significantly increased, but the quality of services is low, which doesn’t require the need and make use of the strength of the tourist potentials of the city. Compared to other famous tourist destinations in the world, Danang is entirely able to become one of the high-rank tourist addresses of the world. With the far vision, the area of Son Tra peninsula will be the luxury resort dimming in the forests and facing to the sea shortly. There are many things that Danang city has to do with the infrastructure to deserve the name “the tourist city of Vietnam” and go right with the orientation of the city. Both Phu Quoc and Danang have a lot of potentials to develop tourism, but there are many things to deal with the infrastructure to meet the increasing needs of tourists in recent years. Especially, Danang is very famous for international tourists thanks to the excellent advertising campaigns. Danang and Phu Quoc have high-quality resorts, modern amusement centers, and budget hotels and homestays; tourists should be safe in mind about the accommodations when visiting two destinations. Phu Quoc has the features to develop the eco-tourism, this island not only has the beautiful beaches, the clear blue seas for swimming, diving, snorkeling but also features the unique fishing culture of local people here such as fishing villages, fish sauce factories, raising pearls, etc. Phu Quoc marine reserve includes two regions: the northeastern and southeastern area of Phu Quoc island, and the south of An Thoi islands. The square of sea surface of the marine reserve is 26.863,17 hectares. In the north of the island, it is home to the seagrass, while the beautiful coral reefs are around the islands of An Thoi belonged to the commune of Hon Thom. Phu Quoc island district combines Phu Quoc island and 21 other small islands with the area of 550 sq km. The square of forest exceeds 62% and expands over 90 mountains on the island, which is the root of many important rivers in Phu Quoc such as Rach Cham, Cai Lap, Ham Ninh, Cua Can, Duong Dong, etc. Phu Quoc also has Phu Quoc national park, and many beautiful beaches such as Bai Thom, Bai Khem, Long beach, etc. Especially, Long beach is listed as one of the 50 most beautiful beaches in the world. Besides the natural landscapes, the products of ecotourism and explore local culture are also diverse such as fishing villages, fish sauce factories, pepper gardens, pearl farms, and historical site of Phu Quoc prison, traditional festivals, etc. Traveling to Danang, tourists will be impressed with the cool fresh air and clean environment. The city has the romantic Han river where the famous bridges of Song Han, Thuan Phuoc, Dragon is located. Annually, the Han river is also where International Firework festival is held. Danang has a tourism zone of Ba Na Hills, with the temperate climate all year round, this is an ideal relaxing destination for the family. Marble mountain is the famous landscape which is 8 km from the center of Danang city. Away 7 km from the center of Danang, Son Tra peninsula has a square of 4400 hectares, now the peninsula has been building the luxury resorts combining with idyllic beaches and diving centers. Besides, here visitors also enjoy many specialties such as Quang noodles, pork roll, and fresh seafood; participate in significant tourism events such as international fireworks performance contest, international parachute contest, etc. Phu Quoc and Danang are featuring a lot of tourist destinations and exciting activities for tourists. It is hard to find which place is better to visit, but if you want to have a relaxing vacation, it is a recommendation for you to get to Phu Quoc because the chain of resorts in Son Tra peninsula of Danang is not completely finished. With the ⅔ vote for Phu Quoc, we hope that Phu Quoc will not make you disappointed when coming to this island. If you have any questions about Phu Quoc tour, don’t hesitate to contact us. Thank you!